Solidarity TD, Paul Murphy, has introduced the Prohibition of Wild Animals in Circuses Bill 2017 to the Dáil. The bill, if passed, would see an end to wild animals being used in circuses in Ireland. 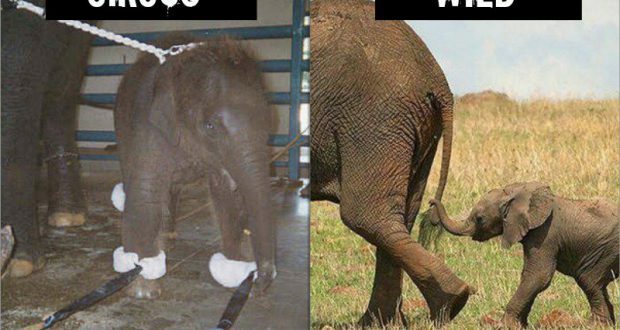 Travelling circuses with wild animals are inherently cruel by their very nature. In circuses, wild animals are subjected to regular transportation in beast wagons for long periods of time, put into necessarily unnatural social groupings that cause great distress, forced to perform for human entertainment and exploited for profit. The needs of a wild animal simply cannot be met in a travelling circus. Training animals to do circus tricks can’t be achieved with positive rewards either. Tigers are naturally terrified of fire but are often forced to jump through hoops of it. Elephants don’t dance on their hind legs in the wild, and they often suffer joint problems from carrying all their weight. This bill will stop circuses from exploiting the wild animals that currently travel with them and prevent Irish circuses from purchasing other wild animals, which they have indicated that they wish to do. 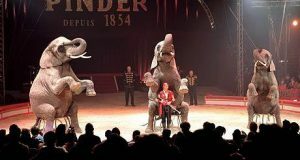 It will also prevent Ireland from becoming a dumping ground for circuses from countries that have already implemented bans. This was seen last year when Circus Belly Wien came to Ireland with three elephants, after the Netherlands banned circus cruelty. Due to the mass opposition to their show, they were forced to leave. This indicated the mood in society against wild animals in circuses. One way to drag this backwards state forward is by having a ban on circuses with wild animals. We are asking people to support this bill and email their TDs to vote in favour of it. This is a serious opportunity for animal welfare in Ireland and we need to ensure we’ve done all in our power to make this bill pass.